The Trump administration on Friday imposed sanctions on 13 people and a dozen companies in response to Iran's recent ballistic missile test, increasing pressure on Tehran without directly undercutting a landmark nuclear deal with the country. Those targeted by the Treasury Department's action include various agents, companies and associates involved in procuring ballistic missile technology for Iran. Iranians, Lebanese, Chinese and Emirati individuals and companies also are now blacklisted from doing any business in the United States or with American citizens. "Iran's continued support for terrorism and development of its ballistic missile program poses a threat to the region, to our partners worldwide and to the United States," John E. Smith, the Treasury Department's acting sanctions chief, said in a statement. "We will continue to actively apply all available tools, including financial sanctions, to address this behavior," Smith said. 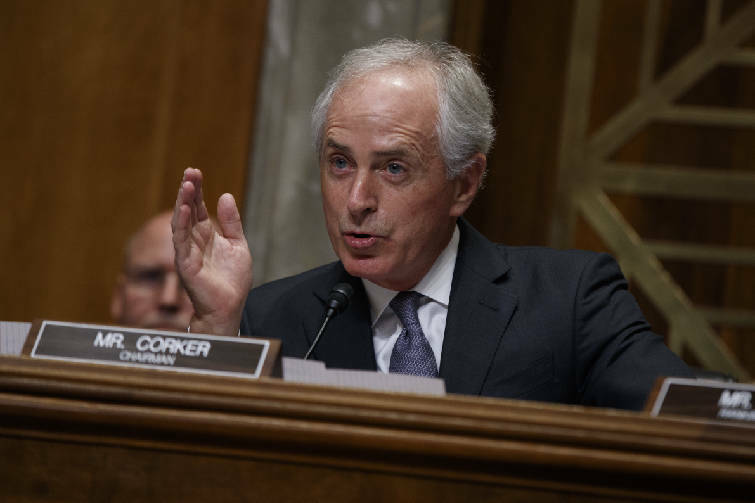 Sen. Bob Corker, chairman of the Foreign Relations Committee, says he fully supports the sanctions. "This announcement makes clear that it is a new day in U.S.-Iran relations and that we will no longer tolerate Iran's destabilizing behavior. "A coordinated, multi-faceted effort to pushback against a range of illicit Iranian behavior is long overdue, and after speaking with General Flynn this morning, I am very encouraged by the professionalism with which the administration has orchestrated these actions and how they have communicated their intentions to the international community. I look forward to working with the Trump administration and my congressional colleagues in a bipartisan manner to strongly enforce nuclear restrictions and further hold Iran accountable." The sanctions are the first against Iran in Donald Trump's new presidency, reflecting his desire to take a tougher stance toward Tehran. Throughout his campaign, Trump accused the Obama administration of being weak on Iran and vowed to crack down if elected. In a tweet Friday morning, Trump said: "Iran is playing with fire — they don't appreciate how 'kind' President Obama was to them. Not me." None of the new sanctions appear to reverse the Obama administration's suspension of sanctions as part of the 2015 nuclear deal. Nevertheless, the action will almost surely increase tensions with Iran. 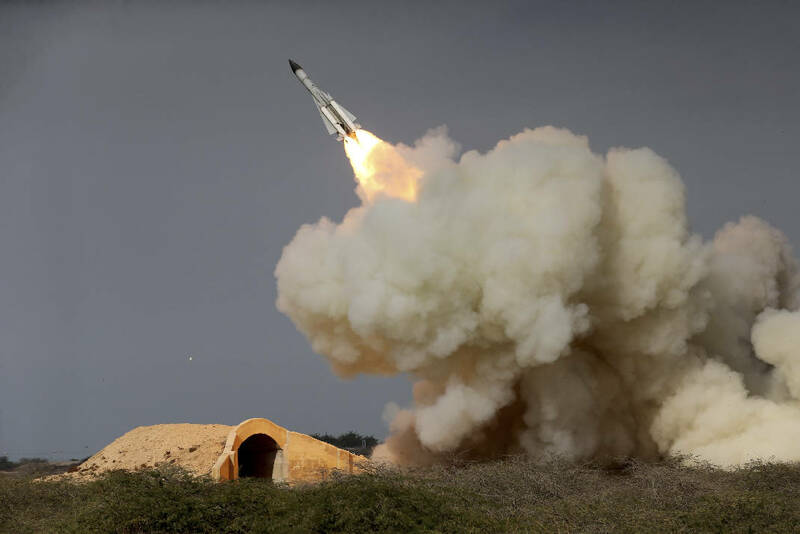 The Islamic republic has insisted that new sanctions violate the deal and that it has the right to conduct ballistic missile tests now that its nuclear program has been sharply curtailed. The U.S. and Western countries argue otherwise, noting that Tehran agreed to an eight-year extension of a ban on ballistic work in nuclear negotiations two years ago. That agreement was concluded in parallel, but separately to the nuclear accord. "This is fully consistent with the Obama administration's commitment to Congress that the nuclear deal does not preclude the use of non-nuclear sanctions," said Mark Dubowitz, CEO of the Foundation for Defense of Democracies, which advocates for a hard-line U.S. position on Iran. The sanctions come after Trump and his aides issued cryptic warnings about potential retaliation against Tehran for testing a ballistic missile and for supporting Shiite rebels in Yemen known as the Houthis. The U.S. accuses Iran of arming and financing the rebels, who this week claimed a successful missile strike against a warship belonging to a Saudi-led coalition fighting to reinstall Yemen's internationally recognized government. Iran denies arming the Houthis. "As of today, we are officially putting Iran on notice," Trump's national security adviser, Michael Flynn, said earlier this week. Trump then backed up that statement in a tweet.